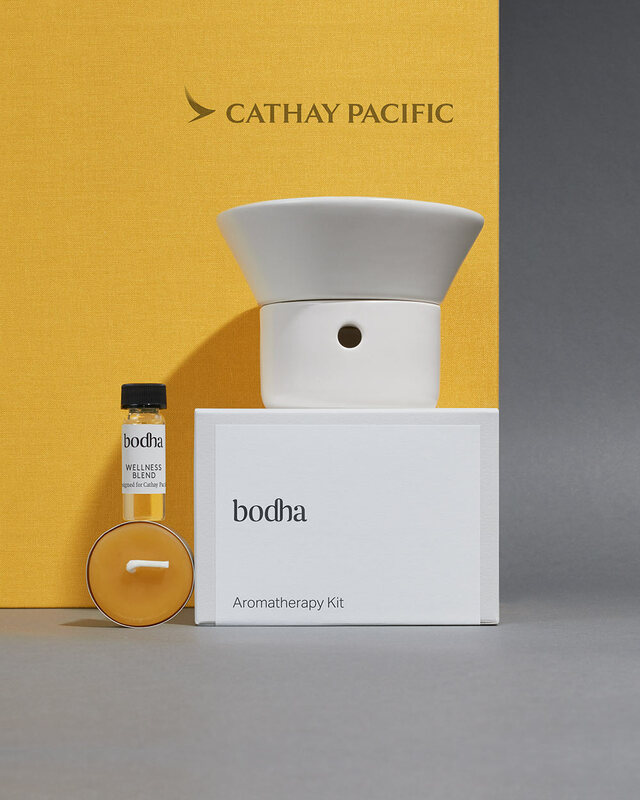 Two years ago Cathay Pacific Airlines approached us with the idea to create something to ease the rigors of traveling for their frequent fliers. We imagined someone arriving home from a long flight & created an Arometherapy Kit with a special Wellness Blend of pure essential oils designed to realign your internal rythyms & welcome you home. Our first big collaboration this project has been a huge learning experince & we're so pour dot be part of the Cathay Pacific family.